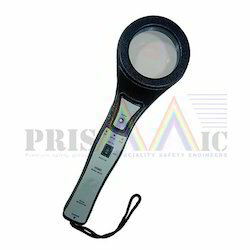 We are a famed enterprise that is occupied in trading precisely-designed HHMD Metal Detector. Ganapati Solutions supplies Hand Held And Door Frame Type metal Detectors of High Stringent Quality maintaining the gradation of security at any place. Adams introduced the models “MIT and HF-1 as the world’s very first metal detectors that the operator wears on the hand or the wrist, over ten years ago. 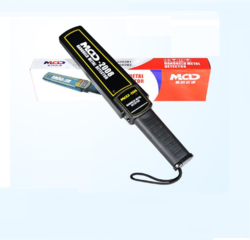 - Detects all metals of Ferrous, Non-ferrous & Ferrite. - Variable audio on metal detection indicate size of metal. - Battery: 9V Standard or Rechargeable battery. Usage: Detect gold and silver targets.